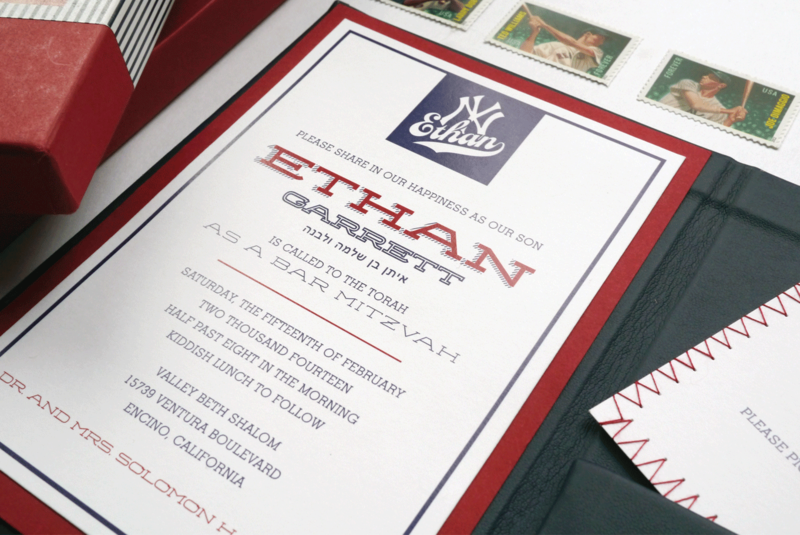 Hit it out of the park with this New York Yankee baseball themed bar mitzvah. 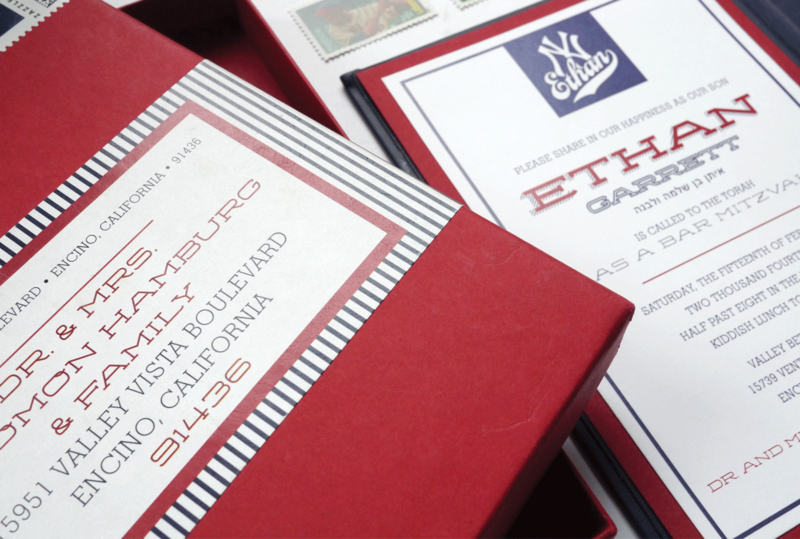 While the kids played games, the adults danced the night away at their Studio 54 inspired club. 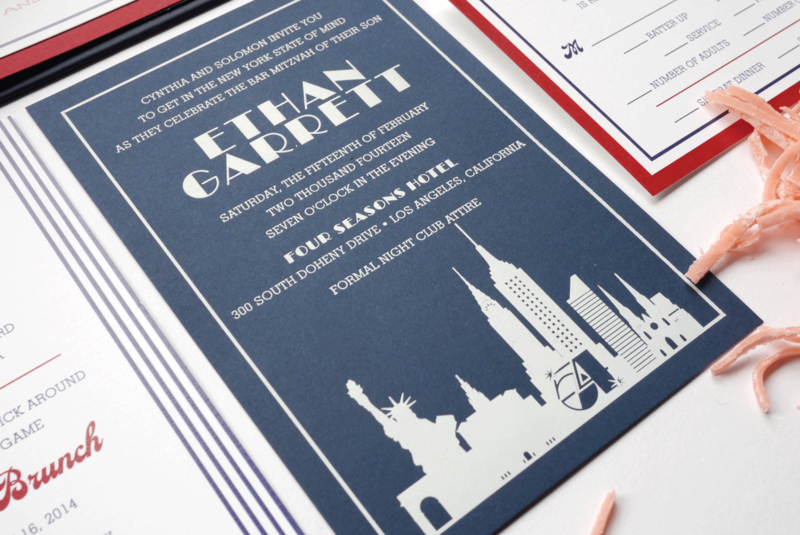 Foil and flat printed on white and navy smooth card stock. 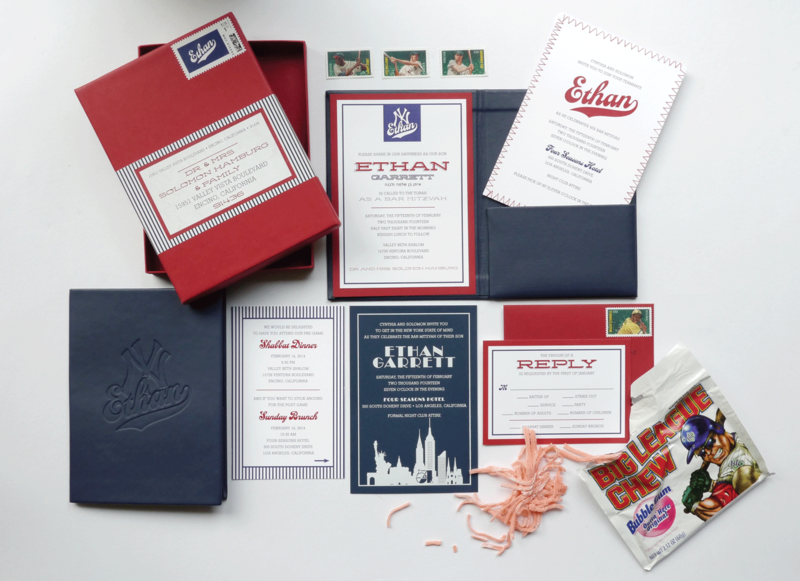 Suite included a custom logo, an invitation mounted to a vegan leather folder, a kids party card with red stitching, an adult party card with the New York skyline, a Shabbat dinner invitation and an rsvp set. 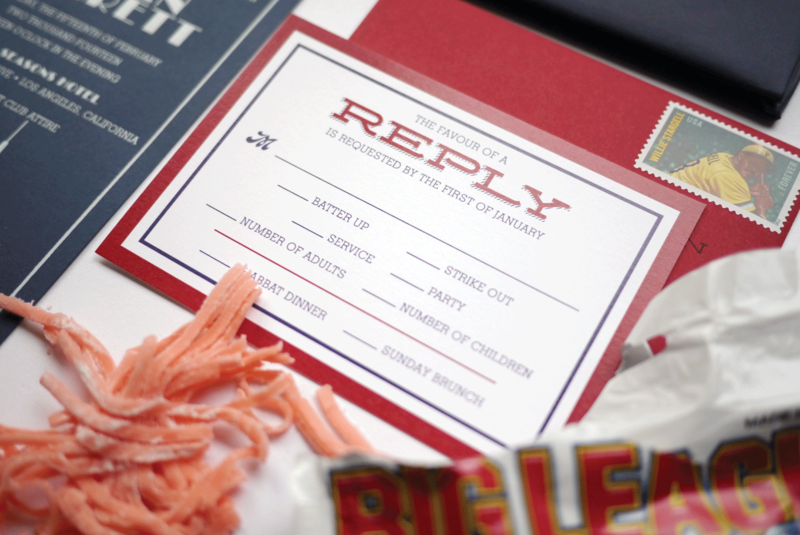 Packed into a red mailing box with Big League Chew bubblegum and custom monogram stamps.